STASH is pitched as a next-generation open source digital currency for local and international transactions. Instead of acting as a token for a specific application, STASH is an alternative to bitcoin and other traditional cryptocurrencies. This altcoin combines ideas from Bitcoin, Dash, and Zcash to create something new. The STASH ICO started on September 24, 2017 and will end on December 12, 2017. Those who wish to participate in this ICO can do so on the STASH website using bitcoin or ether payments. The key selling point of STASH is that it is touted to be an improvement over the types of cryptocurrencies that are already available on the market. For example, a promotional video about STASH points out the relatively high fees and less-reliable transaction confirmations that the bitcoin network has faced as it has increased in popularity. The video also takes aim at the lack of anonymity and privacy found on the bitcoin network. Differences in opinion regarding how the bitcoin development process should progress forward are also mentioned in the video. STASH intends to solve these sorts of issues by launching a new cryptocurrency that features privacy, governance, low fees, capacity, development funding, and faster transaction speeds. Instant transactions are said to be offered by STASH through the use of their InstantSend technology, which first appeared in Dash. 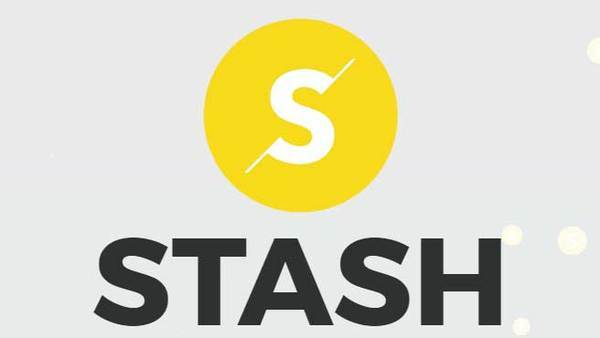 STASH also has an incentivized node network, 150 block times, a 20-megabyte block size limit, and 80 times the transaction capacity of the Bitcoin network. The added capacity offered by STASH may allow transaction fees to remain low until the point where blocks become full. Special nodes (called iNodes) are rewarded with 45 percent of the block reward for providing resources to the network. The on-chain governance system is said to solve the problem of decentralized decision making. Ten percent of the block reward is reserved as a funding mechanism for software development, and development proposals are voted on by STASH token holders. For privacy, STASH will incorporate a zero-knowledge security layer (similar to what is found in Zcash). The promise of both instant transactions and zero-knowledge proofs for privacy seem to contradict each other as this type of privacy solution leads to transactions that are notoriously slow to create. The features covered in the promotional video from STASH sound nearly identical to the features found in Dash, which is an altcoin that has been around since early 2014 and currently has a market cap of around $2 billion. STASH appears to have a team of identifiable people behind it. CEO David Nowacki and COO Alek Trpkoski are both from BlackPearl Capital Partners, and many of the other team members and advisors have backgrounds in the banking and investment industries. The CTO is Mike Beacham, who is said to have been an early miner and investor in bitcoin, dash, and other cryptocurrencies. The only relevant results found when googling “Mike Beacham bitcoin” came from STASH’s own website. The team also features Dr. Aaron Gulliver, who is a professor and Canada research chair in advanced wireless communications at Victoria University. The STASH tokens are ERC-20 compatible tokens issued on the Ethereum network. Anyone can then use this distribution of tokens to launch their own blockchain based on the STASH framework. As explained previously, the main purpose of the token is to act as a competitor to bitcoin and other existing altcoins as a currency. Tokens are available for $0.10 each, and a total of 360 million tokens will be made available for sale. The ICO is capped at $36 million. The initial supply of STASH tokens is 500 million. Eventually, the token supply will reach 997.8 million after 100 years of mining. The number of newly-generated STASH tokens will decline by 7.1 percent per year. One hundred million tokens are reserved for the STASH team, but they will be locked-up until September 27, 2018. Forty million tokens will be made available to advisors and bounties. Unsold tokens will be sent to the “STASH vault” to be locked-up until September 27, 2018. For the first 24 hours of the token presale, which started on September 24, 2017, a bonus of 40 percent was available. This bonus has declined during the process of the ICO. At one point, higher bonuses were available to those who were willing to buy more tokens. For example, those who bought between $20 and $1000 worth of tokens received an 11 percent bonus, while those who bought over $100,000 worth of tokens received a 30 percent bonus. It is not clear from the whitepaper or the website where the funds raised during the STASH ICO will go or how they will be used. As far as the STASH community goes, there appears to be a large amount of fake activity on the official Facebook and Twitter accounts. There is also a link to a Slack group on the official website, but it is nothing more than a broken invite link. There is no GitHub repository link available on the STASH website. There is a stashpay account on GitHub, but there does not appear to be any activity associated with it. In summary, STASH looks like a project that probably should be avoided. The best description of it would likely be a copy of Dash, which already has network effects around it and has been around for years. The likelihood that STASH will be able to compete with Dash — or bitcoin for that matter — approaches zero. The fake activity on social media and lack of transparency in terms of where the funds raised during the ICO will go are also troubling. Sign up for free email updates about STASH here. For up-to-date information about other current and upcoming ICOs, please visit our initial coin offerings page. 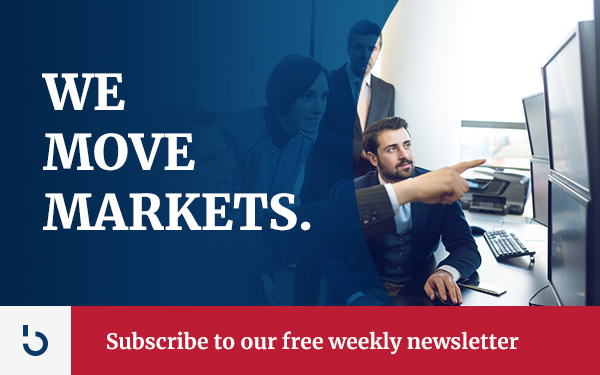 Subscribe to Bitcoin Market Journal newsletter, because it’s the best investment you’ll make today. Author: Kyle TorpeyKyle Torpey has followed bitcoin since 2011. His work has been featured on Nasdaq, American Banker, Business Insider, and other financial media outlets. Follow him on Twitter: @kyletorpey. Notice how fast this site loads? That’s because Bitcoin Market Journal is ad-free, so you can trust what you read. Sign up for our newsletter below, and keep us honest.